Please register and log in to gain access to more information. Hey all. A film crew will be doing some taping about all things pinball so I am running a short and sweet tournament so they can get some footage. Top 4 players go to finals for a one game playoff. Email if you are interested. If spots fill up then I will start a wait list. Four strike tourney. Players put into groups of 4. 24 players max. 2 strikes in 4 player groups and 1 strike in any 3 player groups. $10 to get in. ($1 for IFPA fee and $9 for the prize pool.) Top 8 players get paid. 1st come, 1st serve. Open to anyone but only 24 spots available. Contact me at atariaction@rogers.com to sign up. Four strike turny. Players put into groups of 4. 24 players max. 2 strikes in 4 player groups and 2 strikes in any 3 player groups. $30 to get in. $10 for host fee and $20 for the prize pool. Top 8 players are paid. 1st come 1st serve open to anyone but only 24 spots available. Turny will be worth max TGP so will be a good way to get some points and help you qualify for the Provincials. 4 strike knockout, 4 player groups, 2 strikes per match, best of one game matches. When: Saturday May 6, 2017. Doors open at 6pm and turny starts at 7pm. What: Pinball Turny is worth IFPA points. $5 to enter. Will be group knockout format. Three strikes and you are out. There will be 5 machines there. There will be lots of food and some BBQ action! Please let me know if you are coming so we can get a rough idea of how much food we need. Starts Oct 1st and goes to Oct 31st. Playoffs are Nov 5th. When: Saturday August 20th. Doors open at noon. Starts at 1pm. Cost: $10 for LOPL members. $40 for non-members. Format: 10 rounds of round robin head to head play. Top 4 after 10 rounds will play a 3 game final using 3,2,1,0 scoring for the A division finals. Fifth through eighth will do the same for the B division finals. LOPL will be providing pizza for all and cash and prizes for the top 8 players. Please let me know if you are planning on attending so we can get an idea of numbers and so that we can input names in the turny software in advance. Thanks. We will be adding a 7th machine to the line up. It will be for charity. It is separate from the league scores but will be on the score sheet. It will be $5 if you would like to play the charity game. 50% of the money will go to the charity and the other 50% will go to the top 4 scores. PLAYOFFS ARE JUNE 25TH FOR THE TOP 24 QUALIFIERS!!!!!!!!!!! 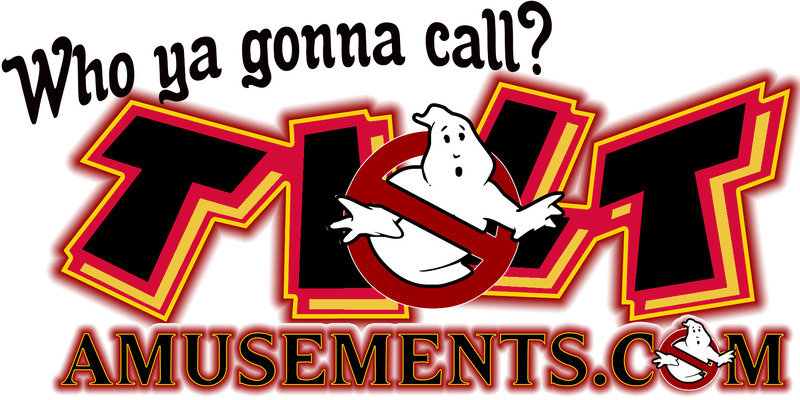 Stern's Latest game - Ghostbusters! Date: Oct 1st. * TRIPLE ELIMINATION * Registration at 3:30. Start time is 4pm Location: Strokers Billiards. 390 Springbank Dr, London, ON N6J 4Y9, Canada $5 entry fee + coin drop All entry fee money is paid out to the top players (spots paid depends on number of entrants) Format: Head to head, single game, TRIPLE elimination. There are 5 machines on location there. Event is sanctioned by the IFPA and worth pinball points. After playing in this tournament you will become a world ranked pinball player (If not already). See link: http://www.ifpapinball.com/ All skill levels welcome. Date: Dec 3rd. * TRIPLE ELIMINATION * Registration at 3:30. Start time is 4pm Location: Strokers Billiards. 390 Springbank Dr, London, ON N6J 4Y9, Canada $5 entry fee + coin drop All entry fee money is paid out to the top players (spots paid depends on number of entrants) Format: Head to head, single game, TRIPLE elimination. There are 5 machines on location there. Event is sanctioned by the IFPA and worth pinball points. After playing in this tournament you will become a world ranked pinball player (If not already). See link: http://www.ifpapinball.com/ All skill levels welcome. What: Pinball tournament followed by funzie time! This is a round robin format. You will be paired up with a random opponent and random machine. Winner gets a point. This will go for as many rounds as we can squeeze in from 2pm to 5pm. Top 4 players will play an A final and 5th-8th will play a B final. The finals will be held on 3 different machines. Winner of each game gets 3 points, 2nd gets 2 points, 3rd gets 1 point and last gets 0 points. After 3 games scores are tallied and winners announced. The $40 fees collected and LOPL fund will cover the host fees, the food and the prizes for the event. At the event we will announce the most improved player for LOPL 2015 as well! Date: Saturday January 9th. Registration at 3:30. Start time is 4pm. Format: Head to head, single game, double elimination. All skill levels welcome: Noobs to Wizards! Event is sanctioned by the IFPA and worth pinball points. After playing in this tournament you will become a world ranked pinball player (If not already). Date: Saturday Nov 21st. Registration at 3:30. Start time is 4pm. Format: Head to head, double elimination. Go to the Scores page and select Ranks to view how you did on a particular night. Select Standings to see where you are currently at for the season. You can sort the lists by clicking on the up and down arrows in column headers like 'Player','Best 8', 'Avg', etc. We had a League Night at Steve and Leanne's on June 27th and on July 18th at Aaron's. See the Score/Standings for the results. Next League Night is at Mike Dymus' on August 8th. Send him an email to secure your spot, if you haven't yet. Good Luck to our LOPLers that are making the trek out there! Kiss Pinball Tournament & Side Charity Tournament! Call The Office (located at 216 York St, London, ON) will be hosting a Kiss pinball tournament on Saturday August the 22nd. The cost is $3 for each attempt + coin drop. There will be four hours of qualifying time from 2pm - 6pm. The top 4 scores will move on to a one game playoff "A division finals". 5-8 top scores will play a one game playoff as well for the "B Division" finals. All money (minus coin drop) will be paid out to the top 4 players. The charity side tournament will be played on ACDC. It will also be $3 an attempt + coin drop and the top 4 players will get paid 50% of the pot and YOU charity will get the other 50%. Both tournaments will be worth WPPR points. League Night - May 30th! Ray is having 2 shifts of 28 players. Doors are open for the 1st shift at 4:30 rather than 5pm. This give everyone a bit more time to socialize and warm up and for us to get things set up. Shirts will be ready and at Ray's for pick up. Hand over the cash before you get your stash. Contact Mike D to secure your spot. During the league night on May 9th at Greg's place we will be running a side charity tournament. If you are not world ranked then just play in this side tournament and you will be. If you are already ranked then you can build on your current rank. League will be run the same except that there will be 5 machines played for league. The 6th machine (to be determined) will be the charity machine. The scores for this machine will be for the charity tournament only and not the league. The cost will be only $5 and everyone can play. You will play it just like a league game (4 players) and you only play one game. So league host fee is the usual $10 and the side tournament fee is an additional $5. Our next league night is coming up soon. Location: The Langs' in Strathroy! Our next league night is March 28th at Mike D's place. Season 3 league night 3 coming up at Darrell's place on March 7th. 2 shifts again - max 28 players each. The second league night of season 3 took place on Feb 21. Big thanks to Aaron for letting us into his arcade. Check out the standings and ranks sections under the score menu. This is a reminder that league is approaching. Note the starting times below and remember that there is a one time registration fee of $20 and host fee is now $10. The 1st slot is full with a waiting list but there are a few late spots still left. The 1st league night of season 3 on Saturday January the 17th. Contact Mike Dymus for address details. The playoff results are in. It was a great event. The new tournament format ran smoothly and everyone got to play lots of pinball. Thanks to Aaron for hosting and Dan for running the software. Top 4 qualifiers played a 3 game set (Theatre of Magic, Addams Family & Circus Voltaire) to determine the champion using a 4-2-1-0 point system. Scoring ended up 8 points for Mike, 7 points for Steve, 6 points for Aaron and happy face for Julie! Fifth through 8th played the same format on 3 games for the B division final. Paul Dewar is the B division champion. 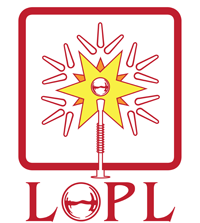 Overall the LOPL was a smashing success in 2014. We had 81 unique players this season compared with 56 last year. Thanks to all players, hosts, "staff", sponsors (Stern & Jersey Jack pinball) and to everyone who played and contributed to the LOPL. Changes and improvements are coming for 2015 so stay tuned. Saturday November 15th at Aaron's place. Doors open at 3pm. Round robin from 4-7pm. Tie breaks are 7- 7:30pm. Top 4 in round robin play for the title. 5th through 8 play a B division finals. There will be a $5 host fee as usual. Prizes will be issued for top players in the regular season and the playoffs. Announcing Stern Walking Dead launch party sanctioned by the IFPA. Hosted by Nancy and Doug Langs. 20 Locke Heights Strathroy (side door) Park on the road. There is a $5 host fee. Qualifying from 3-6pm followed by playoffs. Format is simple. Sign up your name, play your game when your turn is up. You can sign up again after your game is done and head to the back of the line. You can play as many times as are available during the 3 hour qualifying time. After the playoffs the machine will be available for regular play. No entry fee. Playing for WPPR points. There are a lot of other machines to play as well including Iron Man Vault Edition, Mustang, Wizard of OZ and many more! October league night will be on the 25th at Darrell's place. We will run a single shift for his place. During league night we will be running a side charity tournament. 100% of proceeds raised from the side tournament will be going to the cause (Pinball Outreach Project). It will be worth WPPR points. If you are not world ranked then just play in this side turny and you will be. League will be run the same except that there will be 5 machines played for league and the 6th machine (to be determined) will be the charity machine. You will play it just like a league game (4 players). The scores for this machine will be for the tournament only and not the league. The cost will be only $5 and we encourage everyone to play. This time we are going to get to play the charity machine 2 times each and only your best score will count. Additional donations will be accepted. Just see Julie the treasurer. So league fee is $5 and turny fee is $5 so bring a tenski! League Night is Friday September 19th. Contact Mike to see if any room left! New host! Darrell will be welcoming the league in to play on his fine collection. Games: Gorgar, DE Star Wars, Simpsons Pinball Party, Baby Pac Man, Wizard of Oz and Last Action Hero! There will be one session - doors open at 6:00, league play at 7pm. Check your email for address and other details. a side charity tournament at the same time. 100% of proceeds raised from the side tournament will be going to the cause. then just play in this side turny and you will be. Although Python has passed away, funds are still being raised for the family. and the 6th machine (WPT) will be the charity machine. The scores for this machine will be for the tournament and not the league. So you will play 5 league machines and one extra turny machine. Once again we will split into 2 sessions. First group plays from 7-9pm. Doors open at 6:30. The second group plays from 9:30 to 11:30. Doors open at 9:00. We can only accommodate around twenty players in each time slot so please contact Mike D to book. The early session is already full so hurry to get one of the remaining 9pm slots! With this format it is especially important that you show up at the correct time. Not too early and not late either unless you have notified us well in advance. Since we've taken on so many new members recently the night will be split into 2 sessions. We can only accommodate around twenty players in each time slot so please contact Mike D to book one or the other. Soon please, the early slot is almost full! Second League night of 2014 was held on February 7th at Ray's place. Record turnout - 32 players! We also managed to raise some money in a charity side game. Thanks to everyone for turning out. Big thanks to Ray for hosting! Scores will be posted in the next couple of days. Mike Dymus will be hosting the first night of our second season on Friday January 17th. Doors open for practice at 7pm. League play starts at 8. Please let Mike know if you can make it. Contact him for directions if this is your first time playing at his place. Congrats to Aaron, Mike D and Paul D! Saturday the 23rd of November at Aaron's place. CTV did a story a few weeks ago about Corey and his love of pinball and pinball repair. A few of the league people were there to fill out Mike's basement. The story aired on the 6pm news on the 30th. Check out the CTV web site for more. Final regular league night of the season! For all you slackers that haven't made it out to 4 nights, this is your last chance to become eligible for the playoffs in November. Contact Mike Dymus for more details and to let him know if you can make it. El Presidente Mike D will be hosting once again. Let Mike know if you're able to make it. Ray will be hosting once again. New white T-Shirts are here. Bring your $$ for Mike. Following some suggestions for more balanced scoring the scores and rankings have been updated. Check them out and let me know if everything looks fair or not. Our next event is at Mike T's place on Saturday July the 13th. Doors open at 7pm. League starts at 8pm. Freedom, Shadow, Creature from the Black Lagoon, Target Alpha, X-Men, Tron, and Avengers. Let Mike D. know if you can make it! Thanks to all that braved the stormy skies and came out to Mike D's on Saturday. We had some great games on Tron, X-Men, Avengers, Lethal Weapon, Star Trek and Demo Man. Check your ranking and standings here under Scores. Check out the pictures on the facebook LOPL page. Congrats to all the match winners. See you next time. The next event is at Mike D's on Saturday June 22nd. Games will be Tron, X-Men LE, The Avengers, Lethal Weapon, Star Trek: The Next Generation and Demolition Man. Check your emails for details and RSVP to Mike. The Simpsons Pinball Party is down for repairs. Another fun night full of beer, food, and of course Pinball! Big thanks to Mike H. and Rosane for being really amazing hosts. Thank you too, to all that turned out. Nice to meet your better halves. Scores, ranks, standings updated. Click away. Our next league night is scheduled for this Saturday May 25th @ Mike H's. Mike is graciously opening up his place to make this night a full blown pinball party so feel free to bring your spouses. Doors open at 7pm and league starts at 8pm. Check your email for the address. Please let Mike Dymus know by the 23rd if you can make it. We will be playing Stern's Spiderman, Funhouse, Twilight Zone, Party Zone, Addams Family and Theatre of Magic. Remember you have to play in at least 4 league nights to qualify for the playoffs in December. Another great night of pinball. Scores, ranks, standings updated. Thanks to all that turned out. Big thanks to Aaron for letting us have our way with his great lineup of pins. Here's the list of machine's we'll be playing tomorrow night. F14, AFM, ACDC, DW, TAF, FH, FP & LAH as a backup. Please let Mike know by the 25th if you can make it. Second league night was a great success! Thanks to Ray for hosting. Check out the scores, rankings and overall standings. 2 very enjoyable nights of pinball fun! Thanks to all those that came out. Stats are up for the league night. The London Ontario Pinball League was started in early January, 2013. We had our first meeting on January 24th. The turnout was better than expected with more than 20 people showing up. Thanks to Corey Cooke, Jeff Minzen and Mike Dymus for organizing and special thanks to Speedy Mike Todd for hosting.